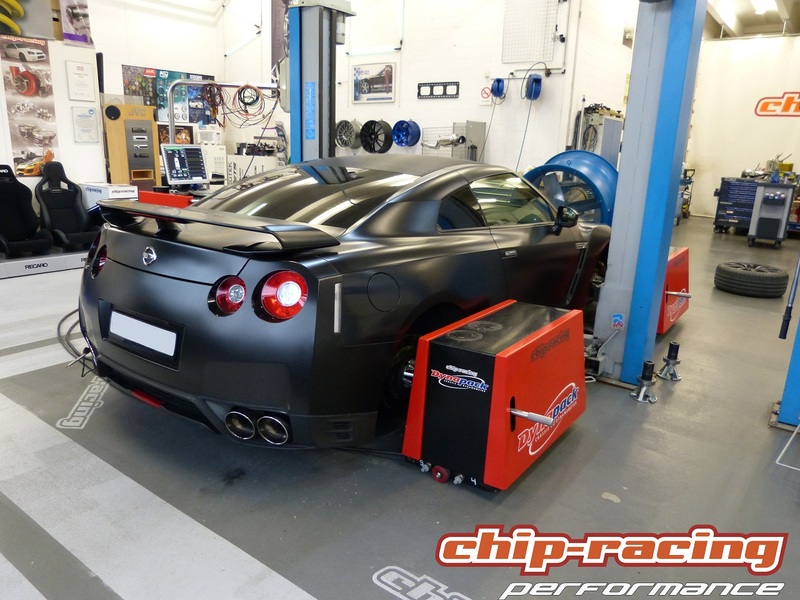 In our todays test we would like to show you our Nissan GTR Tuning CRTEK1.5! 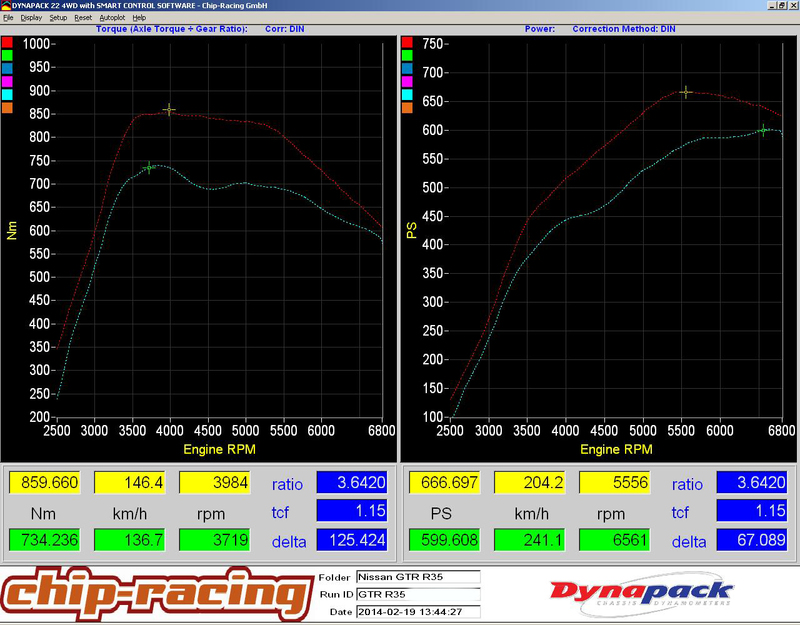 This effective, yet simple tuning for the Nissan GTR once again shows the huge potential the VR38DETT has. With just a few modifications the GTR shows amazing gains! The Milltek exhaust system containing of the Y-pipe and the catback system was already installed on the car, so the baseline is not really stock! With the backpressure reduce the boost rises to around 1bar. This increases the GTR’s power output already to astonishing values! Further infos on this topic can be found in our exhaust test we did a few weeks ago. The GTR’s huge potential is no secret. 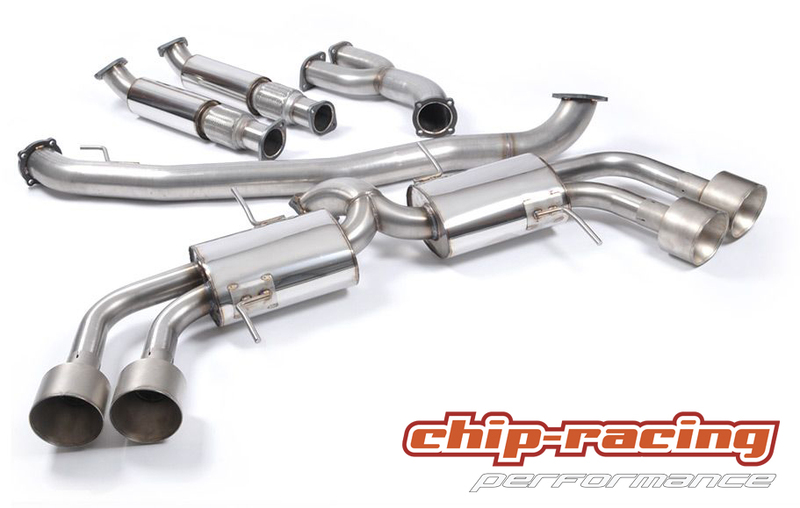 Our test shows again how a good exhaust system can improve your cars performance. As ussual, the boostcurve is not smooth and the car feels inharmonic! With the CRTEK map this issue gets solved and further increases the GTR’s power output. In our eyes the CRTEK1.5 is well invested money!